Carnival Mask Applique - 3 Sizes! Fun design for Mardi Gras! Very easy two stop applique design. You can skip the embroidery pompoms and add buttons or little jingle bells for extra fun! Includes 4x4, 5x7 and 6x10 sizes. 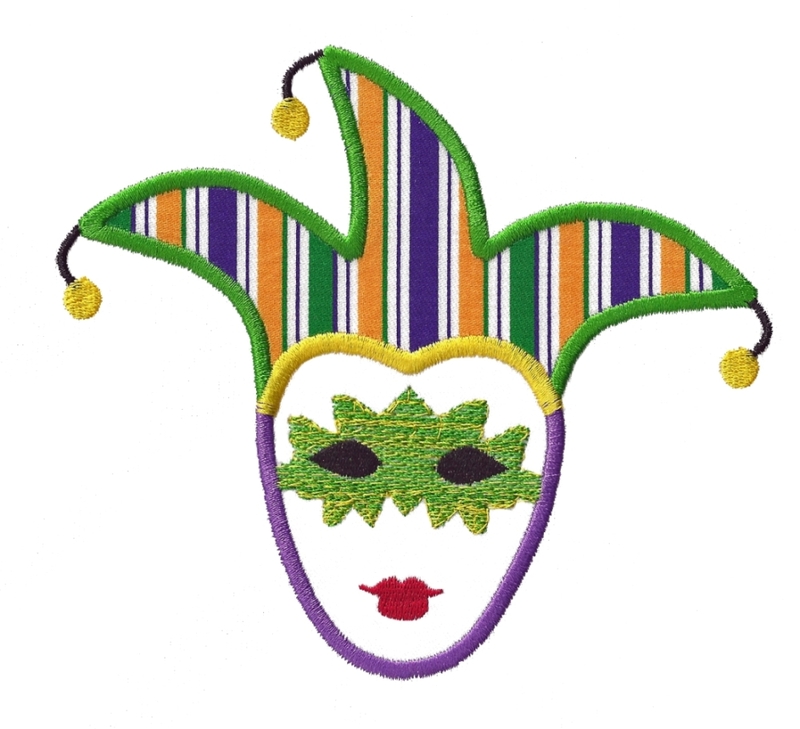 Jester Stick Applique - 3 Sizes! Butterfly Mask Applique - 3 Sizes! Finish Size 3.91" x 3.47"
Finish Size 5.57" x 4.91"
Finish Size 6.54" x 5.75"